David is a former English footballer who last played for French Ligue 1 club, Paris Saint-Germain. He has also played for Manchester United, Preston North End, Real Madrid, A.C. Milan, Los Angeles Galaxy and the England national team for which he holds the appearance record for an outfield player. Beckham is also the first and only player to win the league in four countries. Beckham is currently one of few investors trying to bring an extended club to Miami, which is said to be launched for the 2016 MLS season. David's professional career began with Manchester United, making his first-team debut in 1992 aged 17. With United, David won the Premier League title six times, the FA Cup twice, and the UEFA Champions League in 1999. He left Manchester United to sign for Real Madrid in 2003, where he remained for four seasons, winning the La Liga championship in his final season with the club. 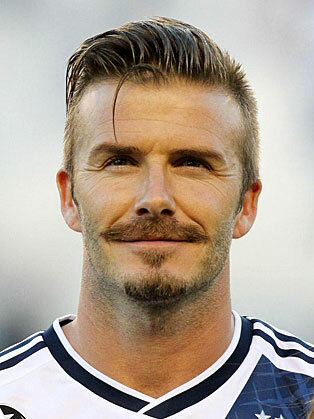 In January 2007, it was announced that David would leave Real Madrid for the Major League Soccer club Los Angeles Galaxy, signing a five-year contract on 1 July 2007. While a Galaxy player, he spent two loan spells in Italy with AC Milan in 2009 and 2010. On 20 November 2011, he joined an elite group of players to have won three league titles in three different countries, when Los Angeles won their third MLS Cup. In international football, Beckham made his England debut on 1 September 1996, at the age of 21. He was made captain from 15 November 2000 until the 2006 FIFA World Cup finals, during which he played 58 times. He earned his 100th cap against France on 26 March 2008, and became the all-time outfield player appearance record holder on 28 March 2009, when he surpassed Bobby Moore's total of 108 caps. David was the first British footballer to play 100 Champions League matches. David was a key player in the bid to bring the 2012 Olympics to London, a bid which was successfully won. He has continued to support the Olympic movement in the intervening years and has been a frequent presence at related events, including the arrival of the Olympic torch to the UK in May 2012. David was an opening ceremony ambassador at the London 2012 Olympics. In 2010, David was honoured with the prestigious BBC Sports Personality of the Year- Lifetime Achievement Award, which recognized his huge contribution to soccer. In 2003, he was made an Officer in the Order of the British Empire by Queen Elizabeth II. A keen advocate of charitable work, David has supported UNICEF since his days at Manchester United, becoming a Goodwill Ambassador in 2005 with a special focus on UNICEF's Sports for Development program. He is also on the Leadership Council for charity Malaria No More, a non-profit organization targeting the eradication of malaria in Africa. He is married to Victoria Beckham and they have four children – Brooklyn Joseph, Romeo James, Cruz David, and Harper Seven. In a candid conversation, David Beckham gives the audience an inside look into his career as a world class soccer star, life in the media spotlight, the various causes he’s passionate about and what has inspired and motivated him to the top of his game.